I’ve been very fortunate to get to sample more than a few of Jason Nahrung’s short stories in their formative stages due to our mutual membership of the SuperNOVA writers group, and to say that I admire and envy his mastery of the short form would be an understatement. Here, he talks about his experiences with another group, and another form. Once, I belonged to a writers’ group in Brisbane. We met at workshops, bonded, forged friendships, critiqued the hell out of each other’s work. Hungry to push our skills, we imported tutors for annual retreats (detailed here). Three years in a row, from 2007, we went to Bribie Island, where a government conference centre provided isolation near the beach, comfortable hotel-style rooms and three meals a day, with plenty of space on the deck for group meetings and one-on-one critiques. That’s where the bloodletting happened. Three years in a row, I fronted up with my new manuscript, and three years in a row it got staked through the heart. Illogical world building, insufficient character motivations, too complex. What to do, then, with a sudden surfeit of time? Long walks on the beach turned out to be the answer, the perfect place for navel gazing. And that’s where I first saw her. Washed up on the beach of my imagination. It was after dark, the surf loud, moon muted behind threadbare clouds. Half naked, she lay there, and by her side, a second figure. Girlish. Curious. Who were these people who had washed in off the sea, flotsam in my mind’s eye? I went back to my room, clinging to that life float of an idea, that barest image, and set out to answer the questions. The project, nicknamed White Horses after a reference to waves in a Wendy Rule song, became my fallback story. Each time a manuscript died, I turned to White Horses. And after the third retreat, there was some 30,000 words of story there, storm-tossed and haphazard, but there. A couple of short writerly visits to beachside places later, a little time at home organising and honing, and a 40,000-word novella had arrived. In 2010, at a fourth retreat with my writing buddies, this time at a lakeside retreat at Noosa, the story got the tick of approval. I had a survivor! And now, under the name Salvage, my seaside Gothic tale is surfacing on the market thanks to Twelfth Planet Press. Which just goes to show: you keep swimming. Some things sink, some float, but you, the writer, keep paddling towards whatever distant horizon holds your ideal of success. With time, effort, a little luck and some good advice, you might just get there. Do be sure to take the time to enjoy the friendships you make along the way, though: they’ll buoy you when you’re floundering, be guiding lights, and provide a warm welcome when you finally reach the shore. Jason Nahrung grew up on a Queensland cattle property and now lives in Melbourne with his wife, the writer Kirstyn McDermott. His fiction is invariably darkly themed, perhaps reflecting his passion for classic B-grade horror films and ’80s goth rock. 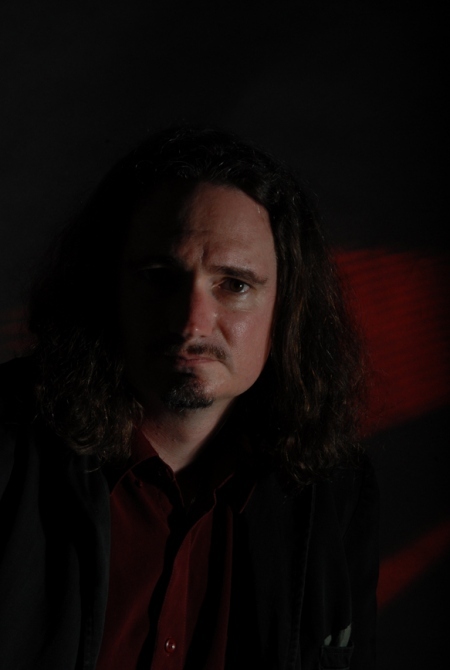 He has an MA in creative writing, is the co-author of the supernatural thriller The Darkness Within (Hachette Australia), and Salvage is due out in June through Twelfth Planet Press. He works as a journalist and editor to fund his travel addiction and an enduring love affair with New Orleans. He lurks online at www.jasonnahrung.com. This entry was posted in Writing and tagged community, Jason Nahrung, novellas, Wednesday Writers on March 14, 2012 by David.